Get ground handling services at Jaipur Airport, India at the most competitive price. Send a query. Aviation Services India through its tieups with best ground handling companies makes available ground handling services at Jaipur Airport (VIJP/JAI), India to all Private Jets, International and Domestic airlines. 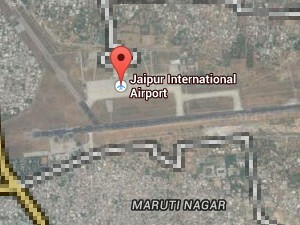 Contact us for best ground handling companies, at Jaipur Airport (VIJP/JAI), India. Jaipur is the capital and largest city of the Indian state of Rajasthan in Northern India. It was founded on 18 November 1727 by Maharaja Sawai Jai Singh II, the ruler of Amber, after whom the city is named. Get ground handling services at Jaipur Airport (VIJP/JAI), India. Send a query.